Jessica Alba attends the launch of The Honest Company at Target on June 25, 2014 in Westwood, California. 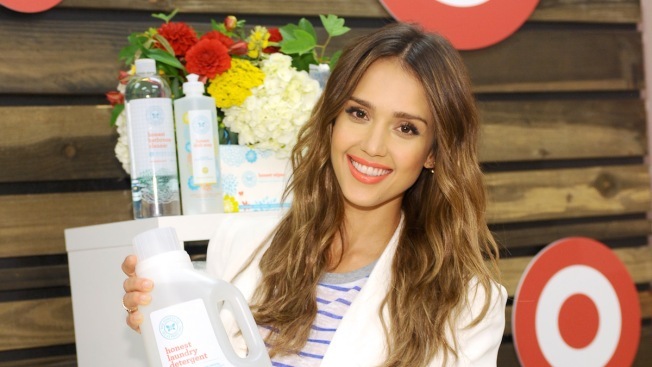 Honest Co., co-founded by Jessica Alba, is denying a news report that said its laundry detergent contained an ingredient that it promised its customers that it would never use. Alba helped found Honest Co. about five years ago. It has grown rapidly, selling diapers, soap, lotion and cleaning products that it says are free of "harsh chemicals." Late last year it started selling lip gloss, blush and mascara under the brand Honest Beauty. The Wall Street Journal, in a report posted to its website Thursday, said it tested Honest Co.'s detergent at two laboratories and found it had sodium lauryl sulfate. Honest Co. said Friday that the detergent does not contain SLS, but does contain sodium coco sulfate, an ingredient it says is a "gentler alternative." It conducted "rigorous testing" and said the Journal is wrong and "reckless." The Journal said Friday that its report "is accurate, fair and meets" its standards. Honest Co. sells its products online and at Target, Whole Foods and other major stores around the country. Target Corp. said Friday that it had no plans to remove the detergent from its store shelves. Whole Foods Market Inc. did not respond to a request for comment. Honest Co. is also facing a class action lawsuit from customers who say the company's sunscreen failed to protect them, causing sun burns, according to court documents. That case is still pending and Honest Co. has said its products are safe.